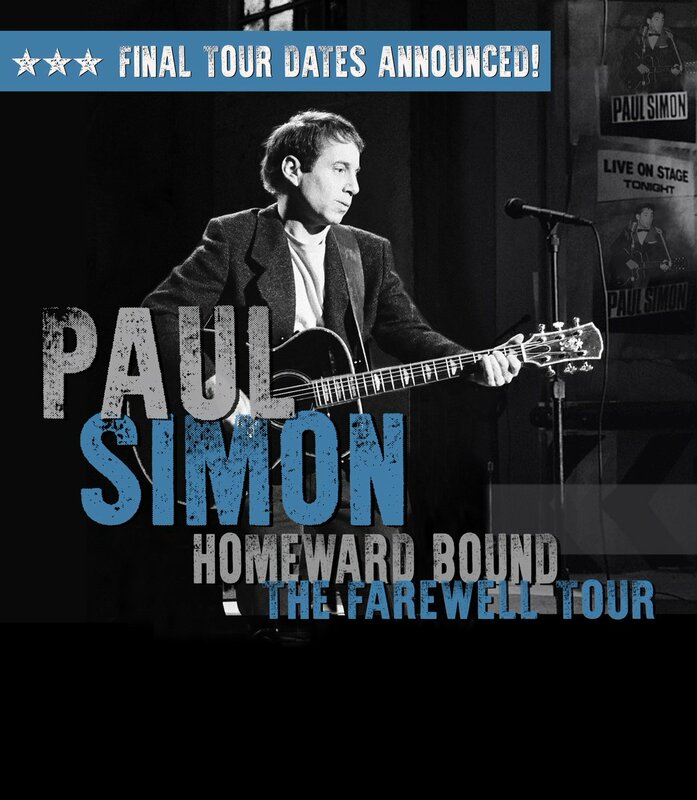 "Paul Simon has scheduled a farewell performance for July 15th at London's Hyde Park. The gig is the only concert Simon has scheduled for 2018 so far. It is unclear if the show is meant to be an official retirement send-off. The concert, officially billed as Homeward Bound: The Farewell Performance, will also feature James Taylor and his All-Star Band and Bonnie Raitt. Additional performers will be announced at a later date. Tickets go on sale February 2nd, while a pre-sale starts February 1st. Simon's performance will close out the British Summer Time festival, a 10-day event that will also feature sets from Roger Waters, Eric Clapton, Bruno Mars, the Cure and Michael Bublé"
Be a good show to be at.. who knows maybe the Stones will be playing the festival or a nearby date? Edited 1 time(s). Last edit at 2018-03-13 22:27 by bv. Probably the last time he'll play Hyde Park. Not taking much notice until Paul definitively says something. farewell shows/tours must be good for ticket sales. If you're friends with Lorne Michaels you can see Paul play in his living room whenever you'd like. Respectfully, I won't miss him. I think The Who are coaching him. Quite good, that one. Jan Wenner, too. That whole NYC elitist bull****. Actually, I pretty sure I read last year that Simon was thinking about calling it quits soon. I'm pretty sure his very last show would be at Central Park. I'm sure this will be a very hot ticket & will 'sell out' quickly. However it takes a lot for me to pay 100 + quid to stand around in Hyde Park on a sunday night & Paul Simon (without his old mate, Art) is not it. Edited 1 time(s). Last edit at 2018-01-31 12:37 by Adrian-L. I suspect that rather like Eric Clapton he is in the last lap regarding tours, but I can still see him doing small gigs and charity shows in the US for some time, health permitting. Main thing (for me) is that, unlike Mick, he hasn't lost his creative muse.His last albums have all been excellent and (surprisingly perhaps) produced very healthy sales.Cannot imagine him not being active in the studio for many years to come. You may be creative, even though you won't (for different reasons) release your material. Edited 2 time(s). Last edit at 2018-01-31 13:01 by DandelionPowderman. Paul is more in it for the craft than the Stones and his ego/stature could weather poor sales. The Stones are too trapped by being "the Stones" and are overly concerned (imo) with putting out something that doesn't sell or goes unnoticed. They should just let it rip, man. And then there was lackluster reception to Getta Grip/England Lost which might have stung Mick's ego. They weren't the worst tunes in the world, but they certainly weren't anything groundbreaking or even memorable. The problem is when you barely release anything, when you finally do it's under total scrutiny by those who have anticipated for so long. And if those two songs are any indication of what he's been writing which I assume they are as they were written and recorded very recently, maybe best he hoards everything and keeps them to himself. But in a positive light, maybe the failure to sell and the overall poor reception will do him (and Stones fans) some good. Nothing like some good old constructive criticism, and when your latest work is almost completely ignored, might be a hint that you're doing somethings wrong. In contrast, you have Paul Simon, Neil Young, Bob Dylan, et al doing what they do - some of it good, some of it not so good, but at least they're doing it. If anybody want to hear a great Paul Simon album listen to So Beautiful Or So What from 2011. Still crazy after all these years and where has Joe DiMaggio gone? 2 of my most favorite lyrics .Great voice . I have the CD its IS really good. I think both Mick and Keith lead such insulated lives that the lack of commercial success or critics praise will go over their heads. One assumes they largely surround themselves with yes men and have done for a long time. Keith still talks about the group having potential to 'do more' (whatever that means). Contrast that with Eric Clapton's own personal analysis of his guitar playing: 'nowhere near the same level of his 1960s work'. So maybe in Mick's mind, he still might think his latest singles were hugely successful and even Grammy worthy? Seeing as those were supposedly "experiments" and/or a "test" to see how well they were received in order to help figure out which direction the new album goes, surely he must have been curious to how well they did? It's known he follows the latest flavor of the month, so I would assume he keeps a close eye on the charts and what is successful and what is not. The singles were trial by error, and the dismal results speak for themselves. And with Keith, while he may be in some fantasy land somewhere in the past, he is somewhat aware of what kind of success an album will have. About Blue and Lonesome " I don‘t want to make any decisions about this (new record) until this record comes out, because I think it might radically change Mick‘s attitude; it might change mine. I want to see the fallout from this record before I decide whether I want to record 40 of Mick‘s songs or whether he wants to sit down with me and record some songs together“. While I agree they surround themselves with yes men, there's no way to hide the fact that a record has done well or not. Blue and Lonesome won a Grammy and sold millions, Mick's singles have all but been forgotten. These results could be part of the blueprint for the next album, and if they are then maybe they'll come up with something truly worthy. So maybe in Mick's mind, he still might think "wtf did I ever do to pi$$ this HB guy off.. I mean to take even an unrelated Paul Simon concert thread and unleash the usual bash Mick rhetoric.. I mean, Come On!" I think that's more likely. I guess you failed to read through the thread, but the topic changed gears and became related to Mick when jlowe stated: "unlike Mick, he (Paul) hasn't lost his creative muse" followed by a reply from Dandelion ("There are no indications of Mick losing his creative muse") and then another from Send it To Me ("Paul is more in it for the craft than the Stones and his ego/stature could weather poor sales. The Stones are too trapped by being "the Stones" and are overly concerned (imo) with putting out something that doesn't sell or goes unnoticed"). But of course with your troll-like and bizarre obseession with whatever I post, you zero in on me. Keep living in your fairytale fantasy land where everything the Stones do is perfect, and keep defending them against any slurs like an overly protective mother, but maybe best you try and ignore my posts just as I try and ignore yours. Presales go on sale tomorrow for some of the US shows.. Deciding between the opener in Vancouver or two nights later in Seattle. Probably Seattle as tix are a little less expensive. I'll probably get tickets for opening night in Van. I see Amex has presales so that's good. Hey MrDDDD, I wonder what the difference in ticket prices would be factoring in the currency conversion? I'm sure you know that our Cdn dollar is worth around 80 cents US. Looking at the tour dates, this tour does end in Hyde Park but there's no NYC date at all so I'm sure there will be some huge announcement for an end of summer NYC show. Mick's creative muse was as 1/2 of the Glimmer Twins. Mick Jagger as a solo artist is not in the discussion, obviously, with Paul Simon, Neil Young, Dylan, etc. etc. That's the thing. Mick and Keith as a creative entity is long dead. Those other artists don't need a partner they just need a backing band. It is not the same with Mick and Keith and it seems like they have nothing in common any more and certainly are not going to sit down together and try to rekindle something from the long ago past. SOlo artists don't have this issue. RIP Vincent N'Guini, great and pretty unique guitar player in the "world of pop". Got tickets for Vancouver show yesterday via Amex Front of the Line. Didn't want to spend too much so got upper bowl for $85. Cheapest seats in the upper bowl are $55 Canadian plus all the service fees.